Feels like you're giving the bike throttle and its not going anywhere? You might need heavy duty clutch plates & springs to prevent your clutch from slipping and causing you valuable time on the track. 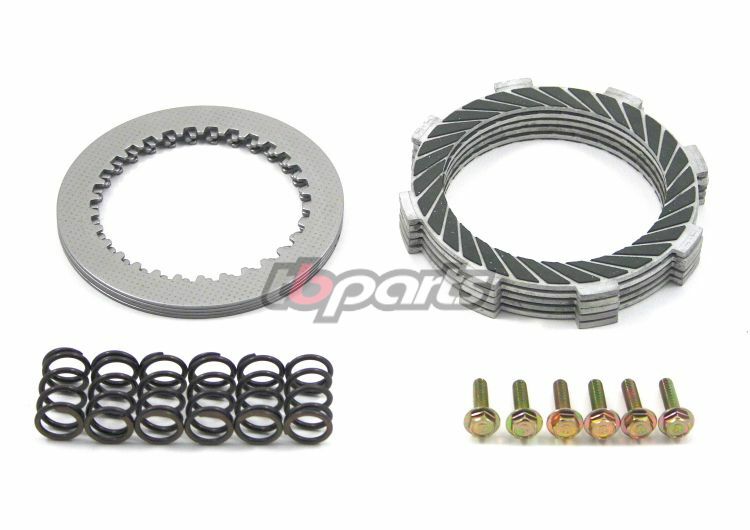 Top quality components that now include kevlar clutch plates! Works well and springs are heavy duty. Consider an easy pull ..